If you are interested in becoming involved with themonitoring of native oysters, please check our upcoming events and contact Chris Lim. The Watershed Project focuses on driving grassroots action, education, and advocacy for developing healthy watersheds in the San Francisco Bay Area, from the upland to the Bay. In addition to leading multiple community education programs on watershed structure, health, human impacts, The Watershed Project manages the Living Shoreline Initiative, bringing together community members, students, and scientists to physically build a healthier Bay by constructing an artificial oyster reef. 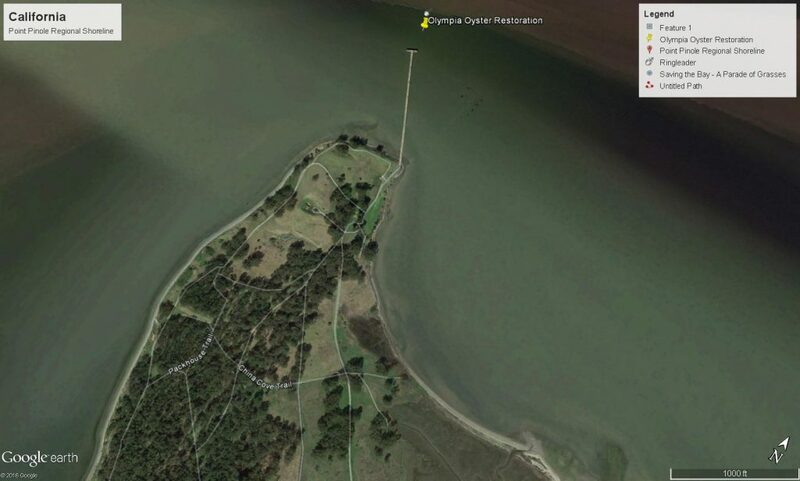 In 2013, The Watershed Project launched 100 reef balls into San Pablo Bay at Point Pinole Regional Shoreline. 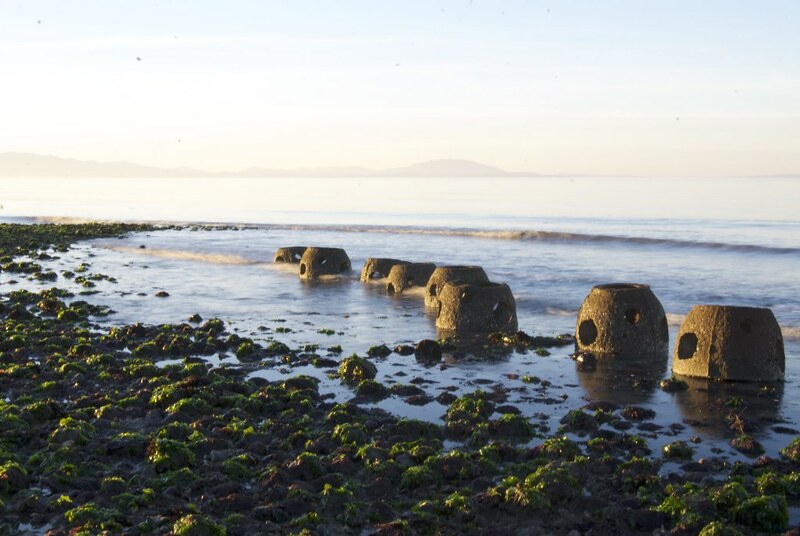 These reef balls are hollow domes made out of oyster shells, bay sediment, and cement that form a craggy surface conducive to the growth of the Olympia Oyster, the only oyster native to the west coast of North America, which was nearly destroyed by over-harvesting, pollution, and sedimentation. Working with scientists at the San Francisco Bay Native Oyster Working Group, The Watershed Project is using these reef balls to begin restoring the lost habitat of these oysters in hopes of eventually improving bay water quality and improving habitat for other species. The Oyster Monitoring and Restoration Program brings adult volunteers to the reef to help collect data on the oyster communities, and in August a few CMG-ers took part in the counting. Volunteers perform a careful sample count to track the number of oysters and other species growing on each reef ball. The monitoring process not only allows scientists to better understand role of oysters and their habitat, but also builds a civic ecology — a community of stewards that will support improving oyster habitat and watershed health over the long term.